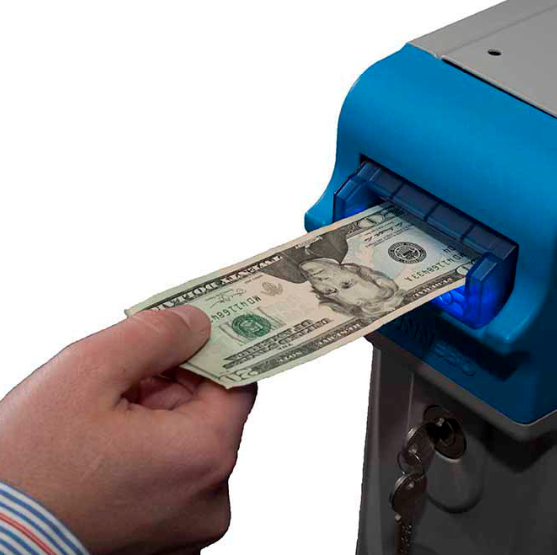 The SecureCash Pro system provides smart, secure cash deposit and processing, minimizing the risk for shrinkage, theft and robbery in cash-centric environments. The SecureCash Pro is perfect for small retail businesses needing a safe, reliable and auditable cash management solution. Deposit: Instantly validate, register, count, deposit and store notes in a cassette for quick and easy collection. Security: Increase security and efficiencies. 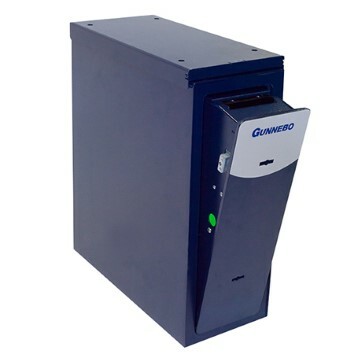 Scan cash for denomination, screen for counterfeit bills, and count, deposit and store up to 1200 notes in a B-rated safe. Locking System: Overnight closure and locked system provide greater security. 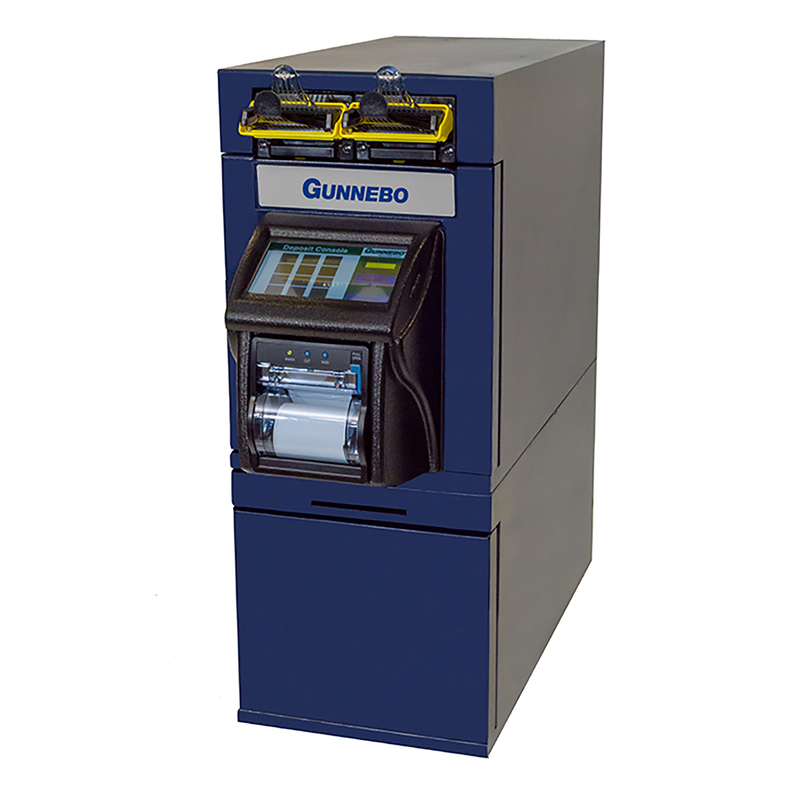 Track & Trace: Track and monitor cash with Gunnebo's web-based CashControl monitoring software. CIT: Optimize collection times and optimize route planning and pick-up times by giving CIT partners access to cash-level data.